Astronauts, people with low back pain and older adults often develop deconditioned spinal antigravity muscles – the muscles that work constantly against gravity each day to keep our spines upright. The Aerospace Medicine and Rehabilitation Laboratory leads a programme of research exploring the role of functional, exercise-based interventions to restore spinal antigravity muscle structure and function. 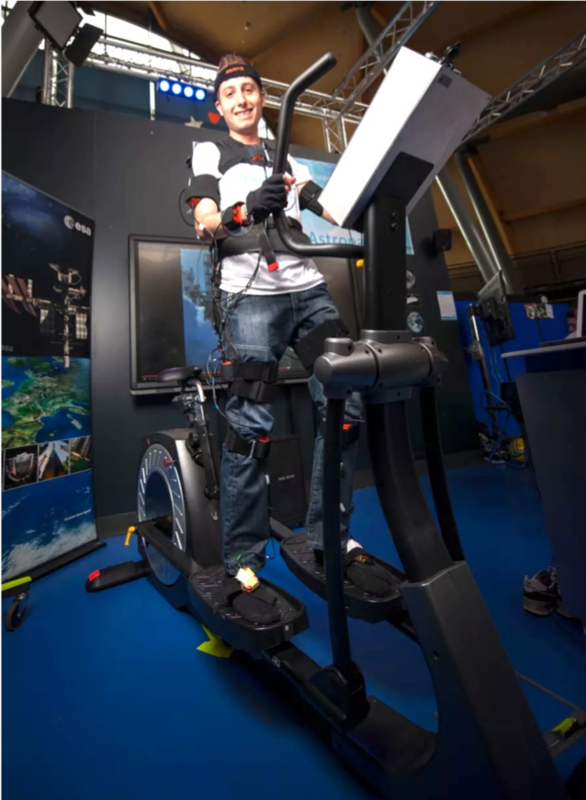 Specifically, the Laboratory has been researching the Functional Re-adaptive Exercise Device since 2008, working with the European Space Agency’s Space Medicine Office, as a potential rehabilitation tool to support astronaut post-mission recovery. This exercise device provides a dynamic, continuous postural stability challenge which has been shown to activate relevant paraspinal and abdominal muscles that are known to become deconditioned following exposure to microgravity. To date, this research has been conducted on terrestrial populations including people with low back pain, as astronauts exhibit similar spinal muscular adaptations to those seen in chronic low back pain. The Functional Re-adaptive Exercise Device will soon be tested as a rehabilitation intervention following a 60-day period of head down tilt bedrest, a ground-based simulation of the physiological effects of microgravity used by the space agencies.